This is a playlist of new versions of the twenty pieces for Prent’s Microtonal Slide Bosendorfers that I’ve been working on through 2018. Most are based on classical piano works retuned or transformed on some major level from their original. Many stroll through their pieces using the Drunkard’s Walk Markov Chain, going forward or backward through the measures. A few are original compositions of mine that I recomposed in 2018, including Tsantsa Circle Dance, Balloon Drum Music, and Resolution in Blue. There are many Bach chorales, one Mozart sonata, and a lot of Liszt recompositions of Schubert Lied. Much of the tuning is from the Partch Tonality Diamond to the 31-Limit, but some is also in historical Well Temperaments including one by Thomas Young and several by Carl Lumma. 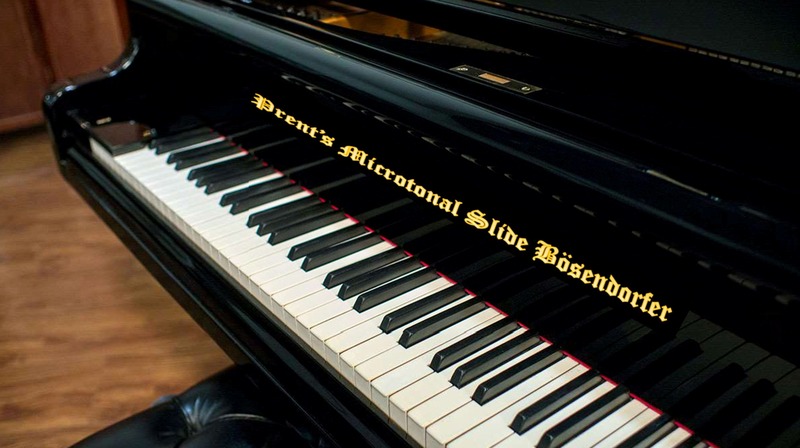 The first piece uses finger piano samples, and the rest are Bosendorfer samples. All were made with Csound.